The girl with the dragon tattoo is not given to forgiveness. Lisbeth Salander has been forged by a brutal childhood and horrific abuse. And repeated attempts on her life. The ink embedded in her skin is a constant reminder of her pledge to fight against the injustice she finds on every side. Confinement to the secure unit of a women's prison is intended as a punishment. Instead, Lisbeth finds herself in relative safety. Flodberga is a failing prison, effectively controlled by the inmates, and for a computer hacker of her exceptional gifts there are no boundaries. Mikael Blomkvist makes the long trip to visit every week - and receives a lead to follow for his pains, one that could provide an important exposé for Millennium: Salander tells him to check out Leo Mannheimer, a seemingly reputable stockbroker from Stockholm, somehow connected to the long-ago death of a child psychologist - and to the psychiatric unit where Lisbeth was an involuntary patient as a child. Lisbeth knows she is coming closer to solving the mysteries of her early life, and even within the confines of the prison, she feels the deadly influence exerted by her twin sister. She cannot stand by as racial and religious conflicts run unchecked amongst the community around her, manipulated by criminal forces far beyond the prison walls. Translated from the Swedish by George Goulding. The plot had promise but it just is too convenient with just in time saves. The author should have spent more time developing the characters rather than just chasing sensational situations. I have enjoy the full series, but found this book lacking. I kept looking and hoping to find this book read by someone else just so I could enjoy the story some more. I would gladly send it back and listen to it again if read by someone else, more fluid and not so staccato. David Lagercrantz does an excellent job of continuing the Steig Larsen trilogy and securing a place in my top tier of writers. 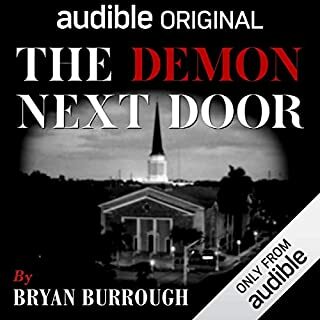 Narrated by one of the all time best narrators Saul Reichlin what could be better? How much more punishment can Lisbeth Salander take? Look forward to the next one. lacks a bit of the darkness of its predecessors but worth a listen. i will be getting the next one. I love the millennium series and I was so eager to finally get to listen to the book. I got so disappointed with the horrible performance of the reader. He pronounces all the names differently, his diction and timing is really off. 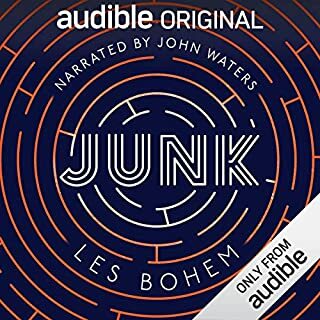 I struggled to listen to the book and almost dropped it altogether. At first I was hesitant to listen to this book. I didn't enjoy the previous book as much as I'd hoped. I'm glad that I did, because in contrast to the previous book, where, at times, the characters was so exaggerated they almost seemed like parodies of Larssons characters, in this they are great. The dialogue between them is good, and the book has a nice flow. The story is intricate and very well written and thought out. We finally get to know the reason for Salanders dragon tattoo, and learn more about her past. The book springs into action at once, unlike the previous book where it took some time before something really happened. One has to remember that this is a different author than the first three books, so of course the writing style and flow will be different. 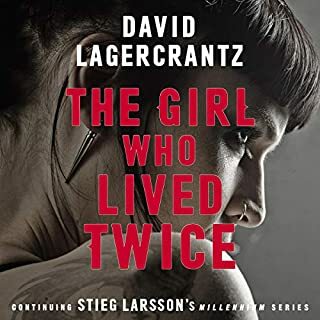 Lagercrantz does a great job and makes the characters his own, which in itself is no easy feat considering the mastery of Stieg Larsson. I really enjoyed this book. As with the previous books in the series: Saul Reichlin does an amazing job as the narrator. A disappointing addition to the Stieg Larsson memorial series. Wish they would stop or get better writters. When David Lagercrantz controversially took the Millenium series forwards I think a lot of people had reservations but Stieg Larsson had created such wonderful characters that we felt they deserved to live on. With the first book I think Lagercrantz managed to pull it off pretty well. This one though I am not so sure. It's a pleasing enough mystery that he weaves and an interesting look into the evergreen nature vs nurture debate. Unlike others in the series it does tie off all the loose ends nicely and it further explores the hellish fires of Lisbeth's childhood that forged the wonderful character we've come to love. It also starts very well with Salander behind bars in a tough environment still trying to serve justice in her own inimitable way. Saul Reichlin is an excellent narrator and does a good enough job of this one though as I thought before I don't think he has the youthful &quot;edge&quot; that's required to do a number of the characters full justice. So, what's not to like? Well simply put while this is a decent if relatively tame story it does seem to have taken full precedence and the characters are sacrificed for it somewhat. 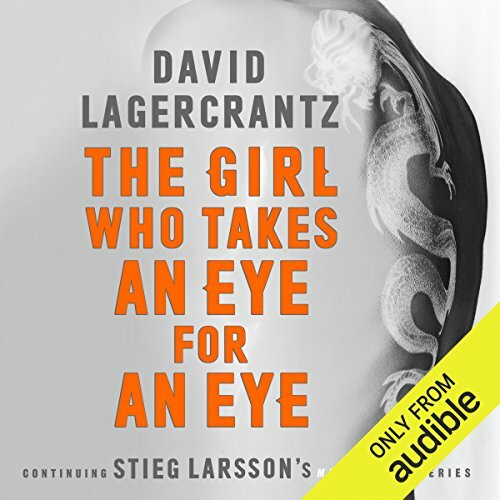 Despite a few decent scenes at the beginning and some excellent interactions with her old guardian Salander is a side show for much of the book and Blomqvist although prominent seems to be merely a means to move it forwards and flesh out the background. 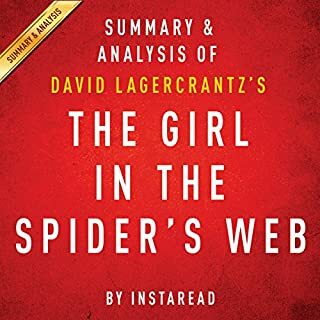 In summary I still enjoyed it but I think that if Lagercrantz is going to continue to roll these out he needs to adjust the balance between his own clever story ideas and allowing the characters we all love to take their full part. 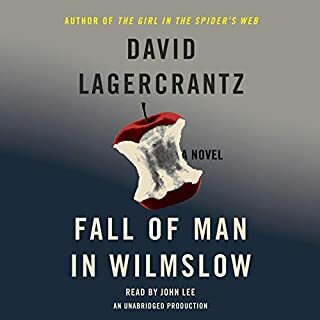 Lagercrantz had a lot to live up to and the previous book was a valiant (passable) attempt (though far from the quality of the trilogy), but this is just a mess and a shame. I'm sure there are other writers whom could closer match the style and intelligence of Larsson and put the characters to a more creative use, but alas I feel Lagercrantz isn't the one. I had to tear myself away from my computer when listening to the first 3. The Girl Caught In The Spiders Web was a fair effort but I could only listen in parts before getting fidgety. This one I don't think I can even bring myself to finish. Such a shame. Saul narrates beautifully as usual but this story is just too boring and incoherent. I wish it wasn't so. Can't believe it's the same writer who wrote the 4th book in the series. Maybe Lagercrantz studied Stieg Larsson's style of writing a lot for the previous book and experimented with his own style this time. Well! It was a total flop. It's as if the author thinks we are all totally dumb that every single moment and issue has to be elaborated and supported with background info. Lisbeth Salander makes only occasional appearances in between a lot of drivel and even then she isn't acting like herself. Well, she is not ACTING at all. That's the whole problem. The book is missing on action completely. There is no mystery, no sense of impending danger, no thrill that was part and parcel of Stieg Larsson's books - things that kept us on our toes, every minute full of action, heart throbbing anticipation, and hope that lisbeth would survive the next moment, the next turn. That is all missing. Lisbeth herself is missing from the book. My request to the author. Please don't write another book in this series. Just let it be. Nothing like the trilogy, Salander is a bit part, the story jumps around too much, which does not improve the plot. 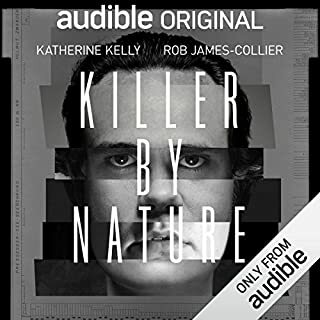 This is the first audio book I have actually given up on before the end, and i have listened to some bad ones! This book was ok, but the narrator sounds really old, which doesn’t suit the story. The plot itself is quite interesting but it certainly didn’t grab me the way the first three - and to a certain extent - the fourth, did. I don’t regret buying it, I was just a little disappointed. What was most disappointing about David Lagercrantz and George Goulding - translator ’s story? To little focus on Salander in this book and not a patch on the original trilogy. The only thing that made this bearable was the performance of the narrator. Very disappointing. Audio is OK... struggles with a number of characters though, like a young Indian boy. That said the plot is just too far fetched when taken with the existing back story. Additionly the narrative lacks the features that marked the first three books in the series. Lagercrantz struggles to reproduce Larsen’s story writing techniques such as repetitive chapter scene changes and depth of detail that becomes tedious and boring. Lost the plot. I actually returned this book but re-bought it just so I can vent my spleen in the hope that the author of this series might just repair the damage they have done to the origianls. This is so little about Salander, or Blomkvist, that they could have called itt "Allice who takes an eye for an eye". It is so full of virtually omniscient and omnipotent villains, unrelated to Salander, that it made my stomach lurch. Give us all a break and write something better. At least Spiders Web" was believable in the context of the series projection; if a little short on the politics. The author should be embarrassed. The key ingredients are there. But the writing craft is not. It’s like the meat and three veg are on the plate with no salt pepper or technique. Happy to have read. Miss the craft of original author. This story theme started with action and maintained an upbeat pace throughout. I am a fan and the latest releases, albeit with different authors, maintains the high standard of action, bad guys and humanity. I truly hope there are more books in this series to come. this has become a soap opera, little is left for your imagination. Very slow, 3/4 of the way through they are still introducing new characters. Great series but this one is definitely a let down. The interesting part of true early books were the relationship between the moralistic bed hopping hopping journalist and the quasi psycho vigilante Lisbeth.. They hardly feature in this forced predictable implausible plot . And the reading, I felt like K was back in kindergarten . Disappointing and not worthy of the flawed, but entertaining , original trilogy. I feel I've got to know Stockholm and the characters who live there so well. I'll have to delve back into their world again soon! The end of a fantastic series!